The Saint Louis University Athletic Training Program hosted its 6th Annual Speaker Series and Recognition Ceremony on Monday, February 20, 2017 at 7:00 pm in the Huh Auditorium at the Center for Global Citizenship. The event was presented by the Saint Louis University chapter of Iota Tau Alpha - the Athletic Training Honor Society - and supported by the SLU Student Government Association. 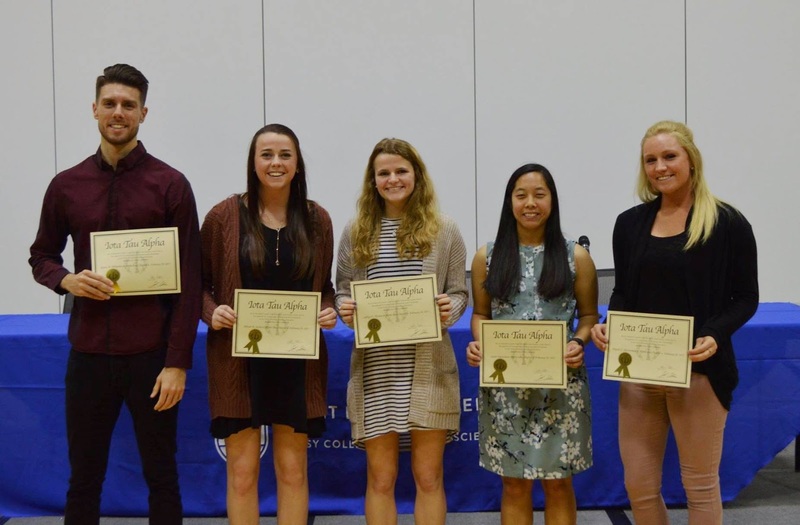 The evening began with the 2017 initiation ceremony for the SLU Alpha Iota Chapter of Iota Tau Alpha, the National Athletic Training Honor Society. 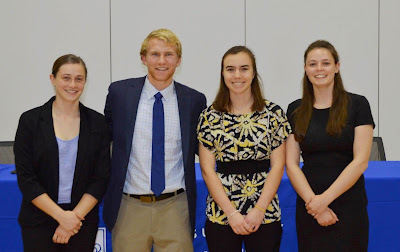 Scholarship award winners Amelia Meigs, Collin Peterson, Caitlin Gibson and Stephanie Ross were also recognized. 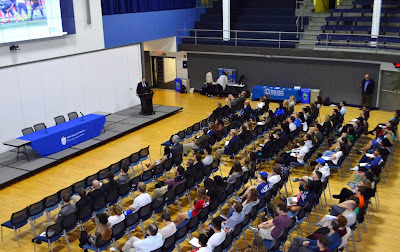 Dr. Mardell Wilson, Dean of the Doisy College of Health Sciences, made introductory remarks and welcomed attendees. The keynote speaker for the event was Erik Swartz, Ph.D., ATC, FNATA, Professor and Chair in the Department of Kinesiology at the University of New Hampshire. 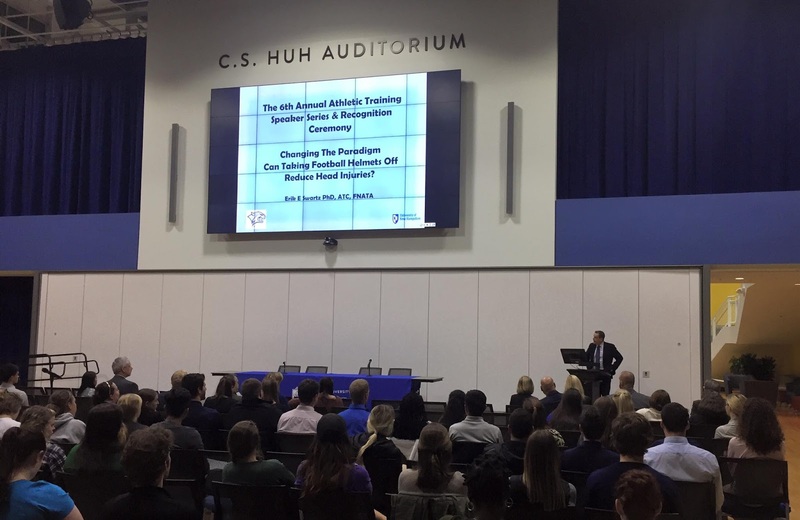 Changing the Paradigm: Can Taking Football Helmets Off Reduce Head Injuries? Dr. Swartz’s described Helmetless Tackling Training – or HuTT® Technique – which involves removing the helmets during controlled tackling drills in football practices and has been shown to decrease the number of head impacts in games and practice. 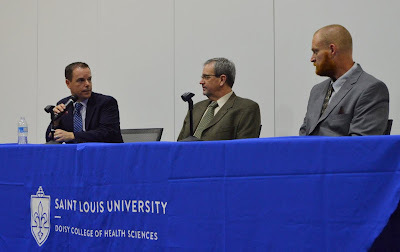 Following the keynote presentation, there was a panel discussion which included Dr. Swartz; along with Washington University Athletic Trainer/former St. Louis Rams Athletic Trainer Jim Anderson ATC; and Super Bowl Champion/former St. Louis Rams Center Andy McCollum. It was truly a memorable event!